Plug the machine in and turn the Push Dial until the device is showing the Home position (Home Icon is illuminated). 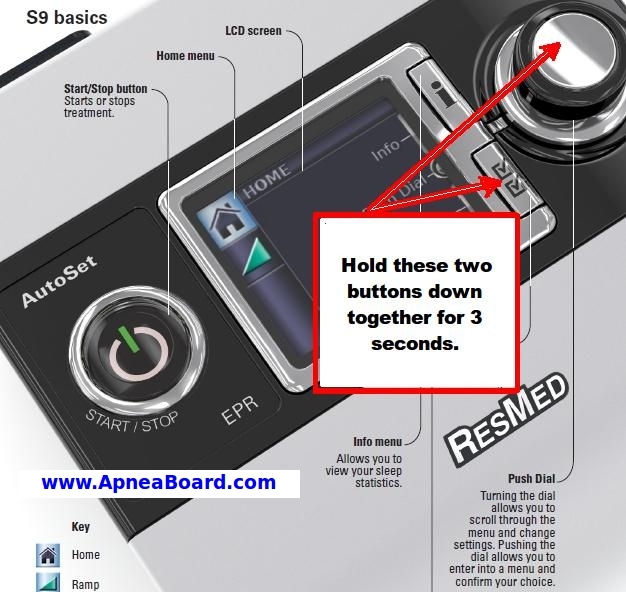 For more information, or if you have questions regarding your ResMed S9 machine, please join the Apnea Board Forum and post your question there. We'd love to help you! 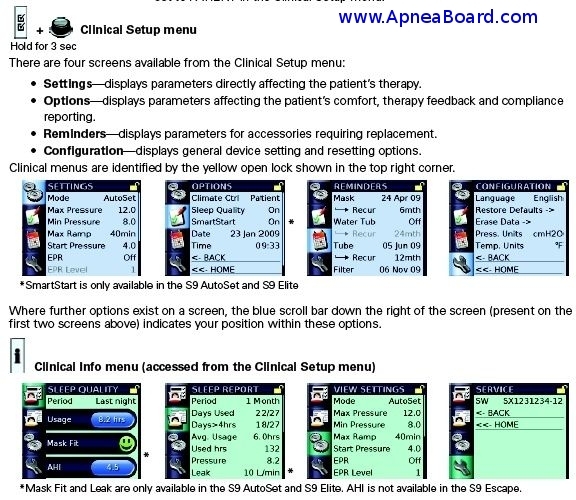 For information on how to obtain the free ResScan PC software for charting S9 CPAP data, click here.